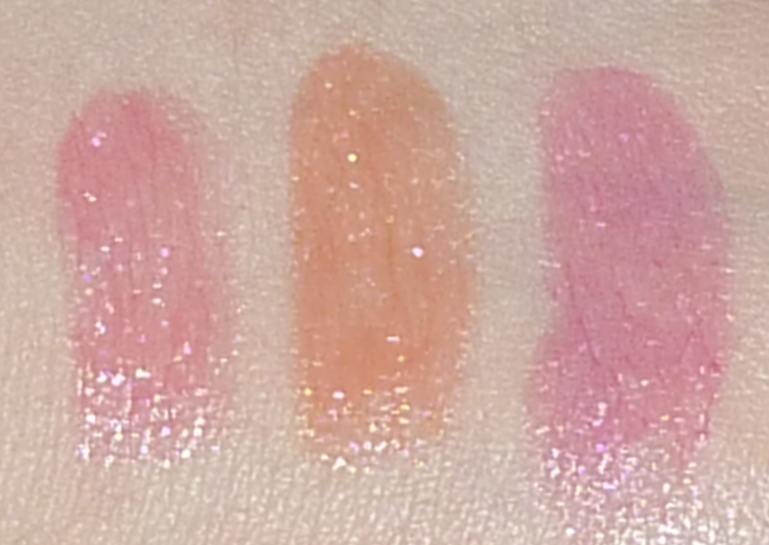 Today I thought I'd post some swatches of the No7 Sheer Temptation Lipsticks I bought as part of my Boots haul last weekend. 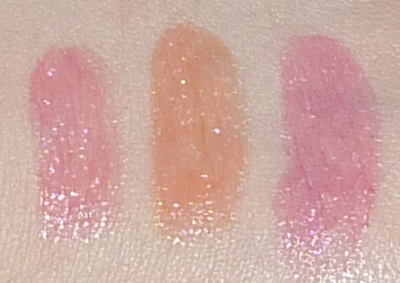 When I swatched them in-store, they appeared to be like the Revlon Lip Butters and L'oreal Rouge Caresse. 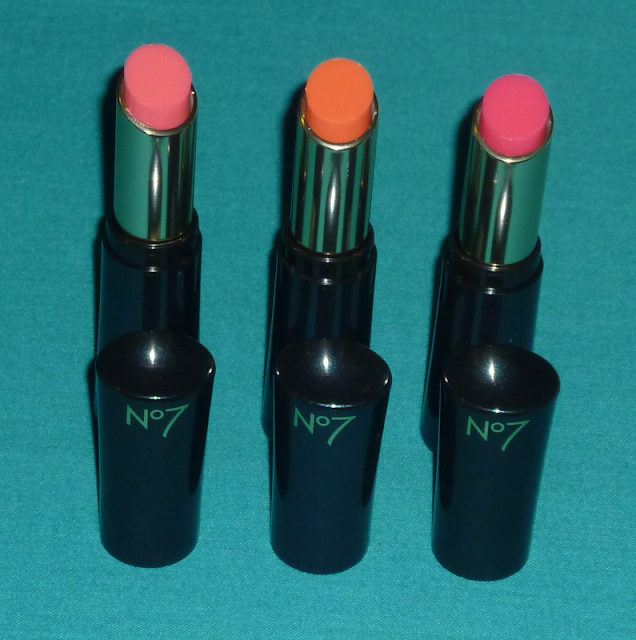 I can confirm these are indeed a lipstick-balm hybrid but I actually prefer the No7 offering! They provide a good amount of glossy, non-sticky colour to the lips and don't feel drying at all. They glide over dry parts on the lips rather than clinging and emphasising them. They are slightly more expensive than the Revlon and L'oreal equivalents at £10 each but if you have a £5 off No7 voucher, they are only £5 which is a really good price. I love the colours I chose and think they are perfect for the summer. Have you tried these? What do you think of them? Also if anyone has any No7 recommendations let me know as I have loads more vouchers to spend! i got temptation a few weeks ago and love it! They're so glossy. I'm never really tempted by anythin No7 but I might make an exception for these. These look lovely esp Showy. Really cute. I use my vouchers to buy their Eye makeup remover & nail polishes mostly. Showy, my next purchase =) Fab blog!